Three times the squirrels messed up our journeys: in Leamington Spa, in York, and at Greenwich. In Leam, we met them in the late afternoon, after we finished having our meal in the city park. Walking for a while, we saw some small grey squirrels playing on the grass. We were so engrossed in playing and chasing them, forgetting that we should instead chase a coach from Coventry to Leeds. Finally we got to Coventry before it was too late. But we must draw our luggages at high speed into the Pool Meadow coach station. In York we were deliberately looking for the squirrels. Nine years before, I found a park where I could easily spot tame squirrels. But the park was not easily found. I forgot the name of the park, and I didn’t want to ask about “the park with squirrels” to the citizen :). At last I found it when I compared the photos I took 9 years ago with tho location of the York Minster. When we managed to find it, we spent some time to play with them, until almost too late to pursue the coach to Thirsk. In the late afternoon after returning to York, the squirrels there were already reluctant to play. Seems that they have more confidence in the clock in their nests than the sun that was still shining at 19:00. 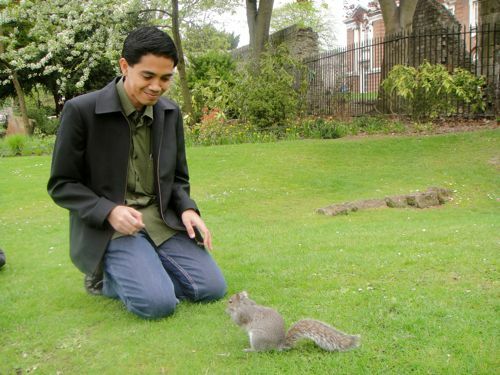 In Greenwich, again we encountered the squirrels, wkwkwk. This was not a part of our plan as well. 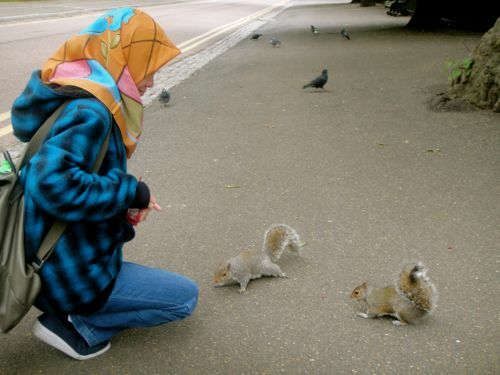 I didn’t even know that there are so many squirrels like to live in a city as big as London. Indeed at that time we were not chasing the bus, coach, or train schedule. However I think the squirrels were making our time at the Royal Greenwich Observatory became much reduced. Naughty squirrels. I’ve read that peanuts are not good for squirrels. Peanut consumption make the squirrels get deficient of certain essential proteins, which ultimately makes them susceptible to disease, and their growth is also affected. Luckily we have always brought some nuts and seeds. Hey, we also like seeds :). There were many kinds of seeds, which we purchased everywhere: from a traditional market in Cardiff, from Tesco Supermarket in Coventry, and from Sainsbury in York. 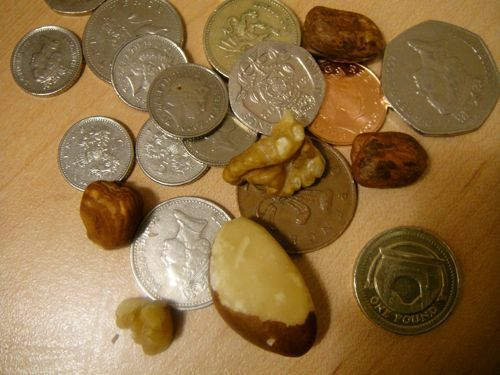 Chris, our friend who we visited in London, commented that we gave too expensive foods for the squirrels. I had no other choice. I could not possibly give them peanuts. You can judge how we pampered those naughty squirrels. Never mind — it’s not for every day. And the way they greatly cheered our journeys had given more value than the price those nuts. Well, unfortunately, we could not also meet the red squirrels, which are actually the native squirrels of the British isles.